The Knock does its job, but its motion sensor produced too many spurious alerts and the app left us wanting. The Knock is a wired smart doorbell from NuTone, a company better known for its ventilation fans and range hoods than smart home gadgetry. And in fact, the Knock is based on the D1201 video doorbell from Taiwan’s Tecom. As a doorbell, it does the job, but I found its software lacking. The Knock is attractively designed and will look good on most porches. It attaches to a plastic bracket that screws into your wall. A Torx screw secures the doorbell on the bracket, which should prove a deterrent to anyone attempting to pull the doorbell off your house and steal it. It’s easy to install, although you’ll need to install a small, supplied diode on your existing doorbell transformer. That might be a bit more fiddly than many people are used to, but it’s a quick task and a necessary one to avoid damage to the camera. 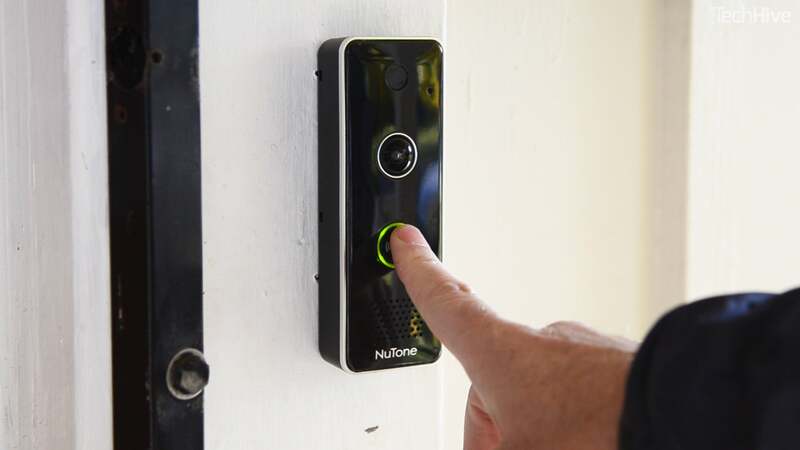 Once on your wall, the doorbell can be up and running in minutes once paired with NuTone’s app. 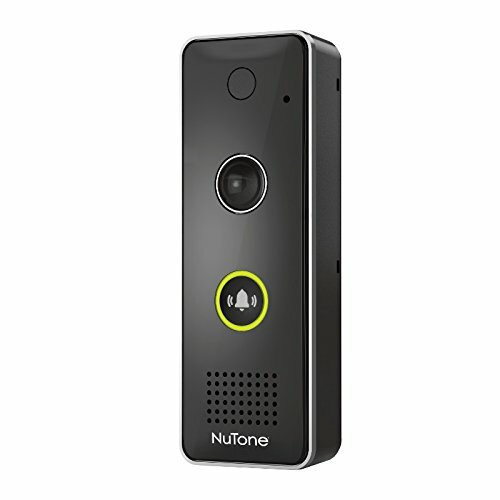 The NuTone Knock video doorbell is attractive and relatively small. There’s very little configuration required beyond getting the Knock connected to your WiFi network. The app allows you to adjust the sensitivity of both the video and infrared sensors, and you can block out zones in its field of view to prevent moving objects such as trees and bushes from triggering unwanted alerts. The length of video recorded can also be set and includes a small buffer before the motion detection is triggered. This is useful as it enables you to see whatever was happening in the few seconds before the camera triggered an alert. 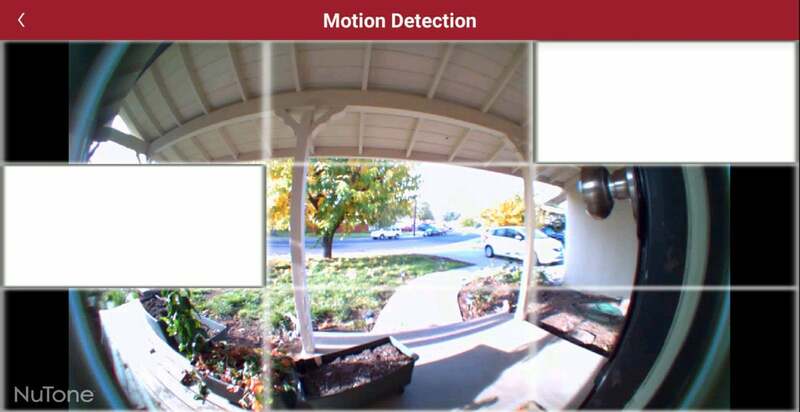 Image detection settings in the NuTone doorbell app. 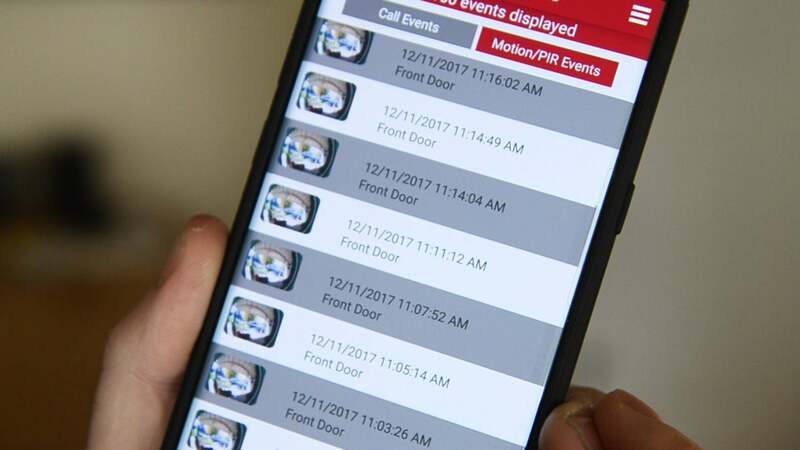 When someone rings the doorbell, the app quickly opens up with a live view from the camera and buttons to either ignore the caller or chat with them. The audio level from the doorbell might not be loud enough on a busy street, but it should be enough for a residential neighborhood. Anytime the live view is on screen, there’s a handy button to take a snapshot. But if you miss someone, video is recorded in the cloud to review later. You can replay video of callers coming to your door. At first I was disappointed with the image quality. NuTone says it’s 720p high-definition, but it doesn’t seem as clean and crisp as it should be. That said, it’s plenty good enough to see who is at your front door and that’s all that really matters. The camera is IP65 rated, so it can be mounted in an exposed area without fear it will get damaged by snow or rain. And it works over a temperature range of -22°F to 122°F (-30°C to 50°C). Despite the various detection settings, I found it difficult to stop false positives. When I first installed it, I had to reduce the sensitivity to “low” to prevent it triggering every time a car drove by. That did the job—until sunset, when car headlights caused an alert every few minutes. I finally took it down to “lowest” sensitivity and blocked out most of the regions from image detection. That helped but I still got false positives. With the street blocked, it wasn’t the movement of car headlights, but their illumination of the front porch and overhang. The camera interpreted a change from dark to bright as movement and triggered an alert. That’s not movement and I would have hoped the technology could tell the difference. It also triggered when my low-tech porch security light came on. The porch light was sensing real movement—cats and raccoons—and the change in lighting triggered the camera to record. This raccoon didn't set off the Knock. 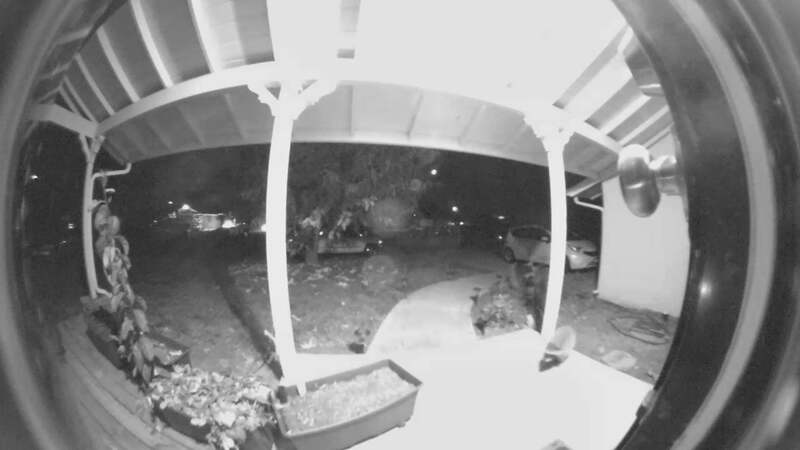 The camera was triggered when the light changed in the image as the porch lights came on. In the end, I disabled the video motion detection and relied solely on the infrared sensor. That stopped a lot of the problems, but I lost of big chunk of functionality. The app could do with some spell checking too. The heat sensor is mislabeled as a “heart” sensor in the main menu. Despite having a cloud backup service, NuTone doesn’t have a web portal through which you can view footage. The only way to access live or recorded video from the camera is through the app. I got so many alerts from the video sensor that it had to be turned off. And while I was testing the Knock doorbell, I learned of an importantg limitation: users are restricted to 100 video playbacks per month, and the app then refuses to let you review any footage. I asked NuTone about this and the company says it’s considering removing the limit. There’s also no way to download the footage. This is a big omission: If you capture video of a crime, there is no easy way to provide the forensic evidence to law enforcement. Overall, I found the NuTone Knock a slightly frustrating video doorbell because of the false positives. You might have better luck in your location. 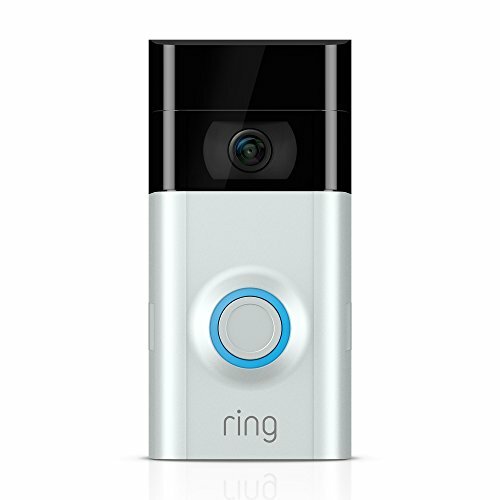 At around $200, it costs about the same as the popular Ring Video Doorbell 2, which doesn't depend on your having an existing wired doorbell. Considering its shortcomings—especially its inability to download footage—it’s difficult to recommend the NuTone Knock over the Ring. The Knock does its job, but its motion sensor produced too many spurious alerts and there's also no way to download captured footage.